Rosenfeld Injury Lawyers LLC is committed to securing the best possible results for our clients. Our Chicago office serves individuals and families who have been injured as a result of the negligence of another person or corporation throughout Illinois and in other jurisdictions. Many of our cases involve significant injury or even death. Our attorneys have received recognition from clients and peers in the legal community for the results we have achieved and for our commitment to serving people in a respectful manner regarding of their situation. Attorneys at our firm are regularly invited to speak to other attorneys about our litigation techniques and how we handle specific case types. What is Your Illinois Personal Injury Case Worth? We are regularly asked about the value of certain types of cases from perspective clients and other lawyers. The truth is that there are many variables that play into the ultimate value of a particular case. You can use some of our case settlements and case reviews as a very general basis for determining the value of your case, but we caution you about making any assumptions until you have talked to an attorney who has thoroughly reviewed your situation. Severity of injury - is the injury temporary or permanent in nature? If permanent, will it cause ongoing pain and disability? Type of medical care received - similar injuries can have great discrepancies in case valuations depending on the type of care and how much the medical bills are. Lost wages - you may make a wage loss claim for your case. 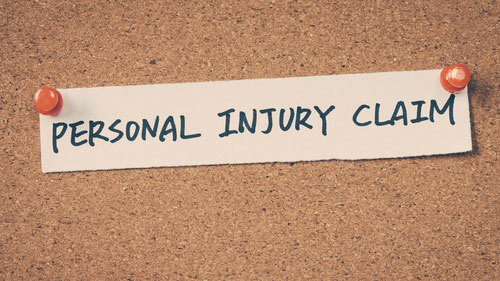 If you are severely injured you can make a claim for future wage loss. Age of injured person - generally, a claim for a young person who faces a lifetime of pain is worth more than an older person with a shorter life expectancy. Comparative fault - you partial responsibility for an accident can reduce the amount of your recovery. Location - both where an accident occurred and where it may be litigated matter. Your lawyer - insurance companies and defense attorneys track plaintiff lawyers. They know those that will go the distance and those who will settle cases short. If you or a family member is in need of an attorney to represent you in an accident-injury case, we urge you to contact an attorney who can advise you of your legal rights for recovery of compensation. Illinois has strict statute of limitations for filing a lawsuit on your case. Your failure to initiate a claim within the legal time constraints will forever bar your recovery. When it comes to the selection of a lawyer to represent you interests, you have many options. While it may be temping to hire a law firm that you see on television or that you may have used for a different legal matter, it is important to have a law firm representing you who has experience with your specific circumstance. Contact our office today for a free consultation with an attorney who has worked on matters similar to yours. We will address any questions or concerns you have about your legal options for recovery. If you decide to retain our office to represent you, we only receive a legal fee when we have recovered compensation for you. If we cannot obtain a settlement or verdict our services are completely free. $3,000,000: Settlement paid to a disabled pedestrian who was struck by a truck in Chicago. $1,400,000: Rear-end truck accident involving back surgery. Lawsuit filed in Cook County, IL. $1,000,000: Wrongful death settlement paid to the family passenger in a car that was struck head-on. $1,000,000: Wrongful death motorcycle claim involving 50-year-man. Represents policy limits of coverage. $805,500: Bicyclist struck by truck making right-run. The settlement was made prior to litigation. $750,000: Loading dock accident involving worker crushed by forklift. Lawsuit filed in Kane County. $720,000: 47-year-old man with a back injury from a truck crash. Settlement at mediation in Winnebago County. $667,000: Pedestrian accident involving a company vehicle. No lawsuit filed. $616,772: Settlement for four friends injured by a truck going though a red light at an intersection in Aurora, IL. $599,900: Distracted driving car accident settlement involving fractured ankle and sternum. $570,000: Champaign County motorcycle crash involving peroneal nerve injury. 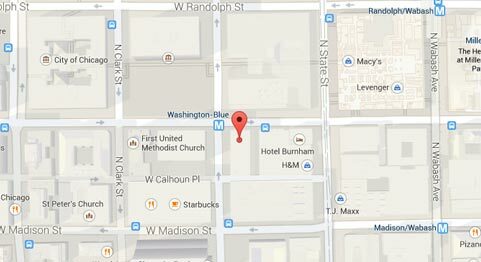 $499,000: Bike accident in downtown Chicago involving an out-of-town driver who admittedly was ‘looking for directions’ at time of crash. $449,000: Car passenger with facial fractures from hitting her head on the windshield in disputed liability case in Belvidere, IL. $350,000: Pedestrian hit by a left-turning taxicab. The impact resulted in a broken leg. This is the full policy limits on the taxi. $330,000: Motorcycle passenger thrown off bike. Motorcycle operator and driver of another vehicle paid settlement. Lawsuit filed in Lake County, IL. $250,000: Uninsured motorist policy limit settlement for Evanston mother. Case settled prior to mandatory arbitration. $250,000: Recovery for bicyclist involved in a hit-and-run bicycle accident. $250,000: Policy limit recovery for a cyclist struck by car while riding in a protected bike lane. $200,000: Settlement for a pedestrian hit by pick-up truck while crossing in a marked crosswalk in suburban Naperville. $180,000: Bicycle dooring accident involving a fractured clavicle and facial fractures. No surgery required. $175,000: Settlement for a husband and wife injured when a teen driver hit them from behind. $105,000: Triathlete hit by passing car while biking on Sheridan Road in Winnetka. $6,140,000: Cerebral palsy birth injury lawsuit filed in Cook County, Illinois. $5,000,000: Settlement achieved via a mediation for a family of a child who allegedly sustained a brain injury due to oxygen deprivation during labor and delivery. $4,250,000: Anesthesia error involving a 49-year-old woman who died during a obstetric procedure. $4,000,000: Collective settlement for boys molested by clergy during a religious retreat. $3,610,000: Surgical error involving post-thoracic procedure. $2,700,000: Medical negligence involving a man who fell from his bed and sustained a brain injury. $400,000: Child bitten by a dog while eating. $330,000: Fall down a defective stairway in an apartment building in Rockford, IL. $300,000+: Workers compensation for a factory worker with received crush injuries.